The Emerson P-SARK BT Black Blade Tactical Folding Knife is a 5.2 inch folder designed by Ernest Emerson and a part of the Prestige Line of Emerson Knives. 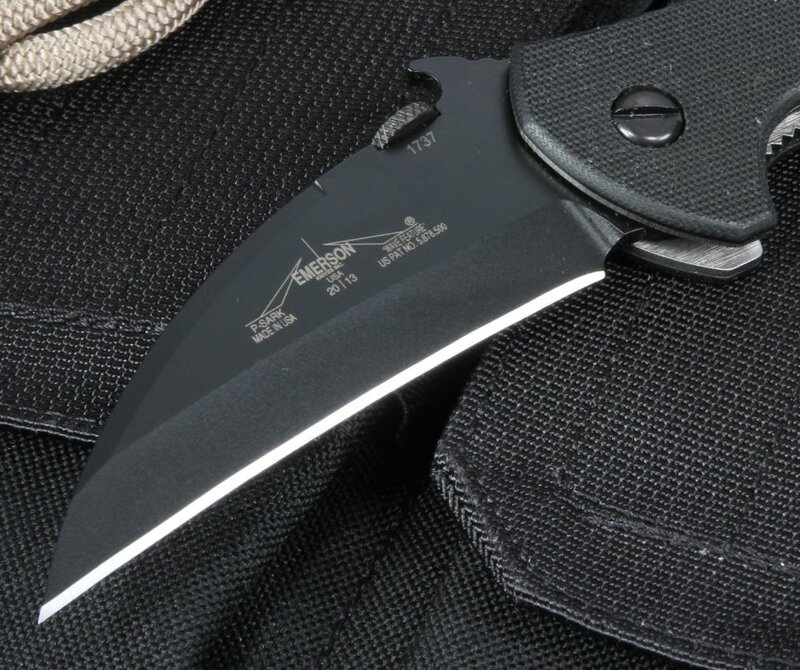 The P-SARK BT Black Blade knife has a blade that's 3 ½ inches long and a closed size of 5 inches. Its stainless 154 CM blade has a black coated finished and a wave design. 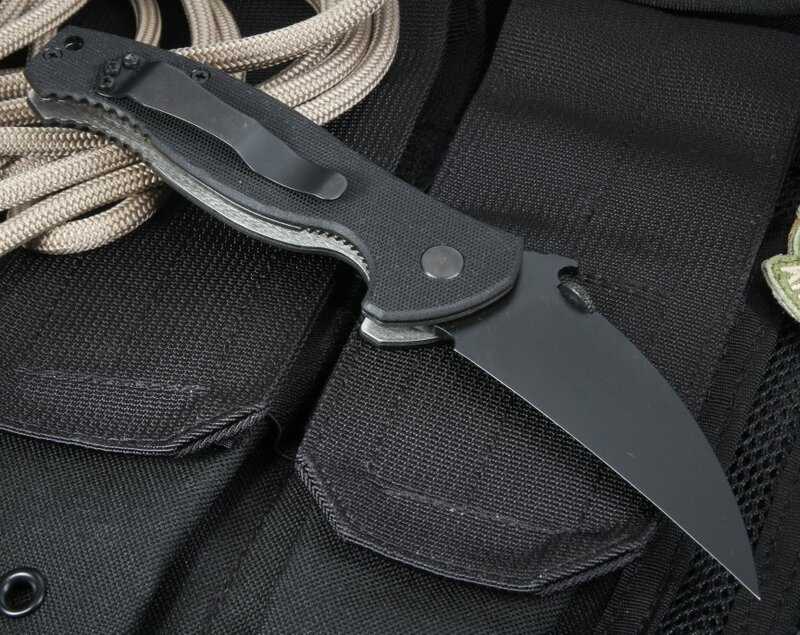 Easy to carry and easy to deploy, the knife has a mounted thumb disc that can be opened easily with either hand. 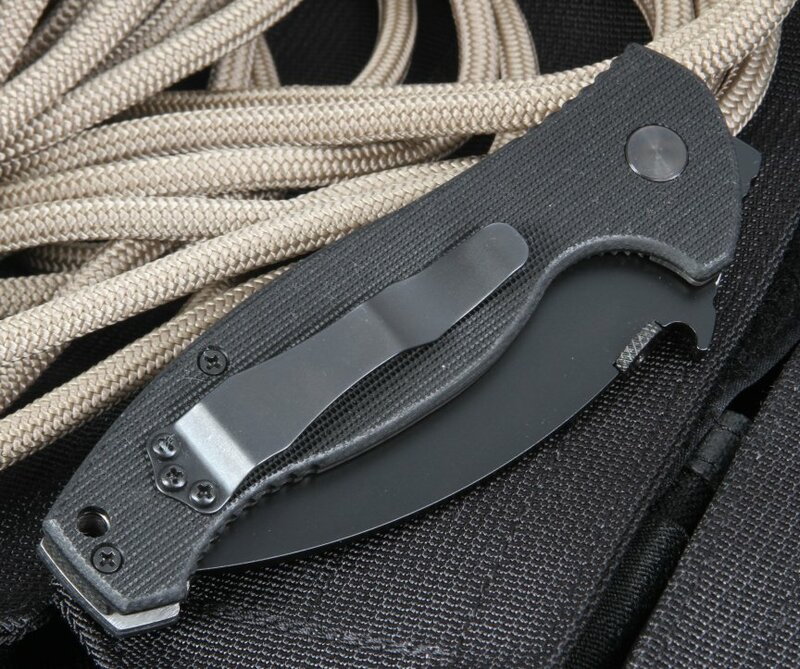 It can also be carried tip up thanks to its mounted pocket clip. 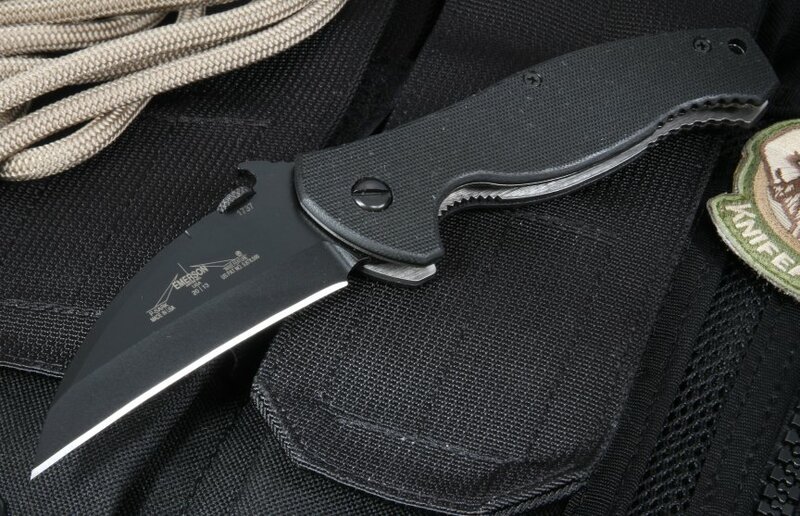 The Emerson P-SARK BT Black Blade Tactical Folding Knife's textured black G-10 handles have a lanyard hole and a solid liner lock design. Another great Emerson knife as usual. Great service from Knifeart as well. You guys rock.